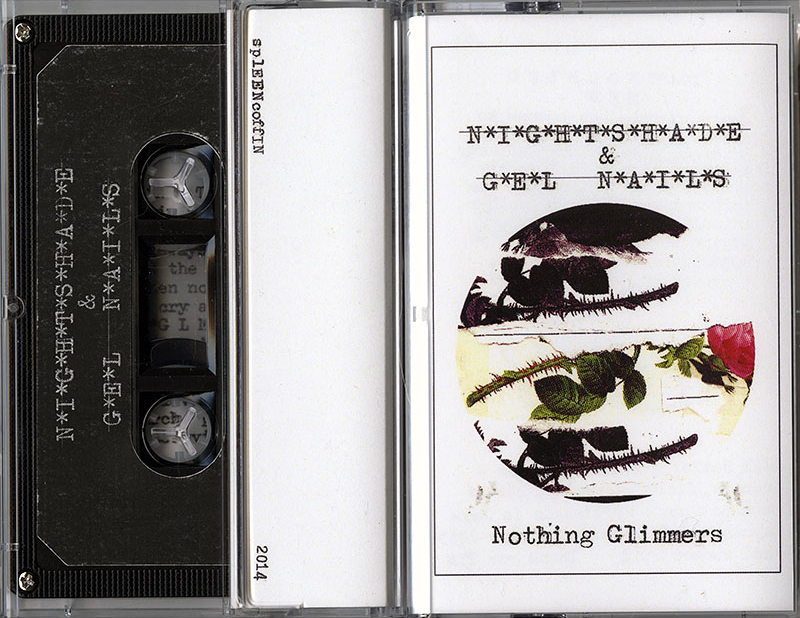 New collaborative recordings from Nightshade and Gel Nails (Ultra Bon Bon) of Alberta, Canada. Minimalist synths, mangled tapes, found sounds, and hazy depraved voices coalesce into slow-drifting murky textural pieces. Last copies.